North Memorial Health Pharmacy experts are team players. Through our two outpatient pharmacies—one on the Robbinsdale campus, one on the Maple Grove campus—we work with both you and your care provider to get you the medication you need when you visit the doctor or hospital. 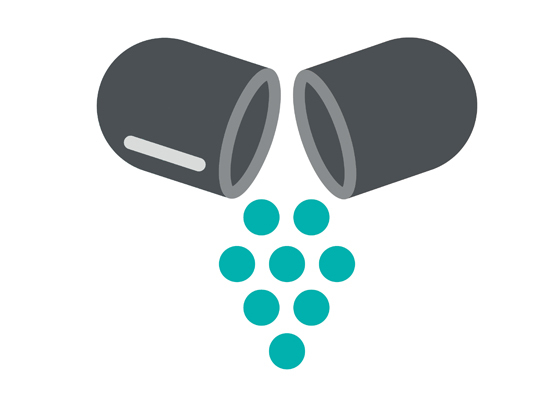 We make sure your prescriptions are working and safe, answer your questions, and in general, make your pills easy to swallow. Our pharmacies are integrated with North Memorial Health’s electronic health record, so our health providers get up-to-date information. We work with your care team to order refills or when you need help making prescriptions more affordable. We check for drug interactions and allergies. We work with your provider to submit prior authorization requests for medication coverage when necessary. We accept most insurance plans, flexible spending accounts, and health savings accounts. We provide refills by phone, mobile device, or online. You do not need to be a North Memorial Health customer to fill your prescription; new and transfers welcome. The North Memorial Health Cancer Center Pharmacy located in the North Memorial Health Cancer Care Center provides prompt, on-site, infusion, and retail pharmacy services to meet the medication needs of cancer customers. Our cancer-specialist pharmacists provide personalized counseling and serve as resources to North Memorial Health team members. Practicing safe, legal and regular medicine disposals for expired and unused medications helps prevent medicine misuse and abuse. 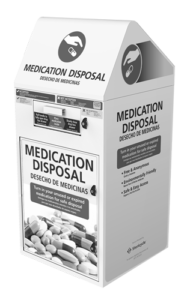 Conveniently dispose of your medications at one of our medication disposal boxes. Disposal boxes are installed at both North Memorial Health Pharmacy locations. Medications can be placed in disposal boxes during pharmacy business hours. Sharps are classified as needles, lancets and syringes. To prevent injury and the spread of disease, sharps must be properly stored and disposed of. Never throw loose sharps in the trash and never place a container containing sharps in a recycling bin. Here are a few safe options to properly dispose of sharps. In Minnesota, it is currently legal to put used sharps that are in a laundry detergent bottle with a lid into the garbage, however this is highly discouraged because of the injury and health risks it places on facility workers. It is best to use one of the options above for safe and effective disposal of used sharps. To learn more about household hazardous wastes and collection programs, contact your county’s solid waste office. Store in a rigid, puncture-resistant plastic container with a screw-on lid. Empty laundry detergent bottles work well. You can also purchase a sharps disposal container at any of our pharmacy locations. You may choose to purchase a needle destruction device. Use this to destroy needles and lancets after each use. The device will melt your sharps into small metal balls that you may throw away in the garbage. Do not recycle. These automatically store and cut needles and are useful while away from home. Cut needles should be disposed of at a sharps collection site or through a mail-back program.